1. Le Susi Boat – A very nice Japanese restaurant with excellent service on 68 Rue Antoine Marty about 5 minutes walk away. 2. Pizzeria La Divine Comédie – This Italian restaurant has a very nice outside seating area that is great on warm evenings. It is located on 29 Boulevard Jean Jaurès less than a 5 minute walk from the apartment. 3. Le Ver D’un – This is a fantastic wine bar that serves a variety of tapas, the comfortable outdoor seating is wonderful on a summers evening and the best thing is, that it is right downstairs. 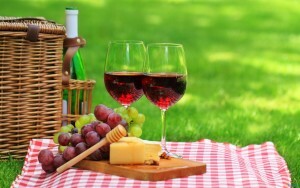 There are a number of excellent restaurants to choose from in Le Citi. On a Sunday and Monday in Low Season when the restaurants in the town are closed these restaurant are always open. It wasn’t until the architect Viollet-le-Duc began restoration in the 1800s that helped save Carcassonne and ensured that the city of today is so outstandingly beautiful. The Cathars were Gnostic Christians. They claimed that their beliefs and practices dated from the earliest Christian times. After a series of failed attempts to convert them by preaching and debating, Pope Innocent III called for a full scale crusade against them. 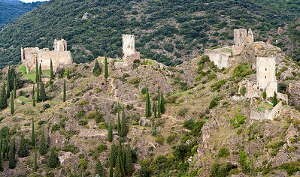 From 1208 a series of military campaigns were launched against the Cathars and their sympathisers, known together as the Albigensian. After several generations of war the local lords were defeated and dispossessed by the Catholic crusaders. The Canal du Midi is one of the most famous canals in the world has achieved UNESCO world heritage status which is a tribute to its historic significance and natural beauty, The canal links the Mediterranean to the Atlantic. Crusing by boat along the canal there are many ancient towns and villages, where you can discover many local gastronomic and cultural delights. You can enjoy Canal Cruises leaving from Carcassonne port almost every day of the year. 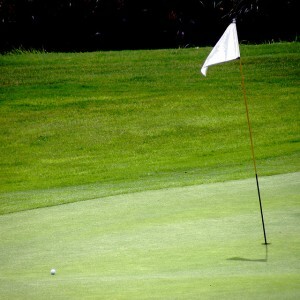 There are 19 golf clubs in Languedoc-Roussillon, and Golf Club De Carcassonne is one of the best. The apartment is within a 10 min drive to this local golf course. A mountain range separating the Iberian Peninsula from the rest of the European continent, the snowcapped Pyrenees have always been special. The Pyrenees offer a range of sights and activities including skiing and white water rafting and are an ideal day trip for the adventurous. Lac de la Cavayère is an artificial lake close to the mediaeval town of Carcassonne. 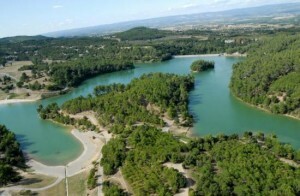 The lake, also known as Carcassonne Beach, was created by the building of a 23 metre high dam in 1988. It is a short distance from the town of Carcassonne and has been made into a popular recreation area. The beaches slope gently and there are supervised bathing areas. Boats are available for rent and there are picnic areas, an activity centre called O2 Adventure Centre, crazy golf course as well as a nearby chateau.